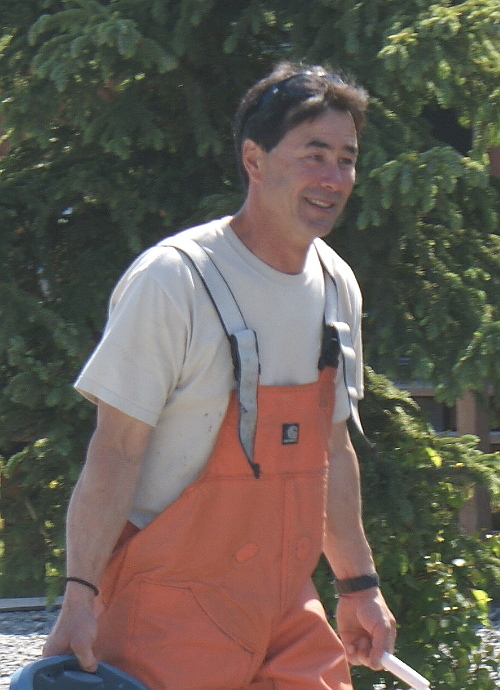 Captain Al Sherman has guided halibut fishermen on Cook Inlet Alaska for 25 years. 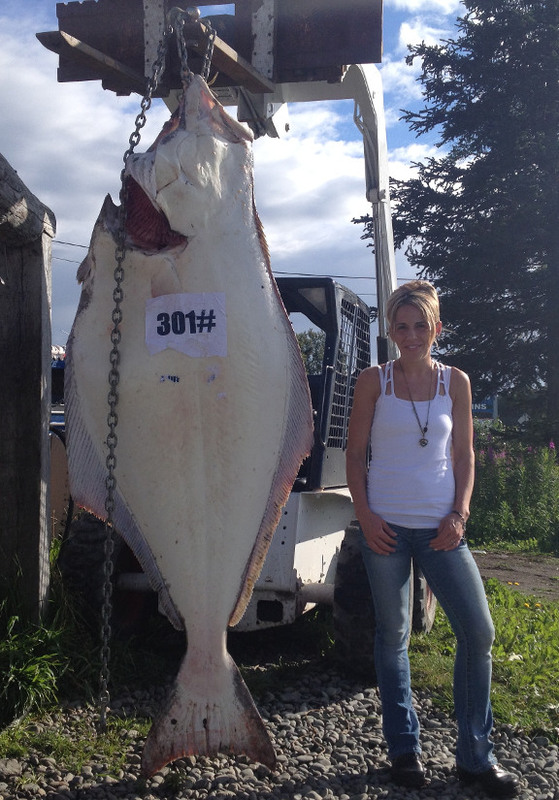 He is an incredibly good halibut fisherman that has intimate knowledge of the local water. He is known for consistently catching racks of large halibut, and then shrugging it off like it’s no big deal. Captain Al owns and operates the “A&M” , a 2008, blue 28 foot North River. 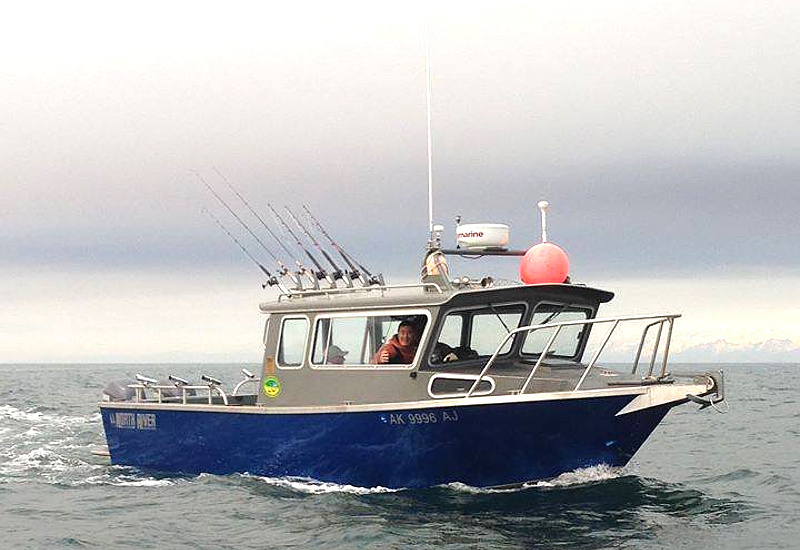 Captain Al Henderson has guided halibut fishermen on Cook Inlet Alaska for 15 years. He is a competitive but good-natured fisherman that has lured thousands of large halibut into the boat. 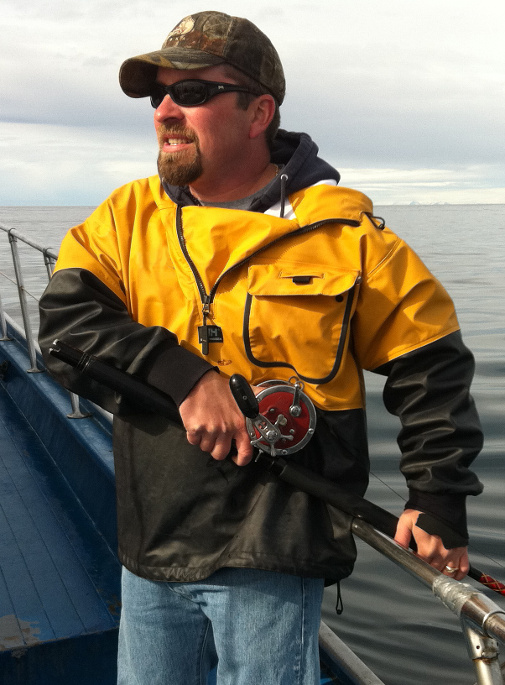 He is known for his intense joy when he racks bigger halibut than Captain Al Sherman. 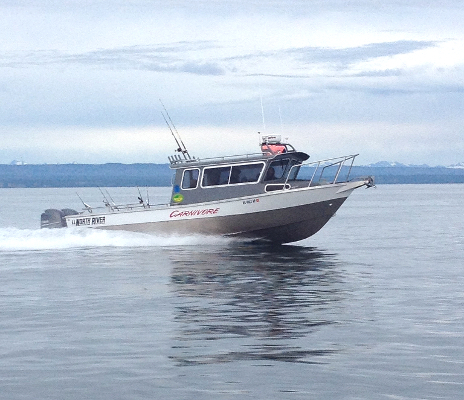 Captain Al Henderson owns and operates the “Carnivore”, a white 28 foot North River Boat. There’s a good chance you will talk to one of these fantastic women when you call. They know our operation inside and out, and will be happy to help you. Not quite sure how we could manage without them! Our little town of Ninilchik, Alaska is centrally located between Soldotna and Homer on the Sterling Hwy. 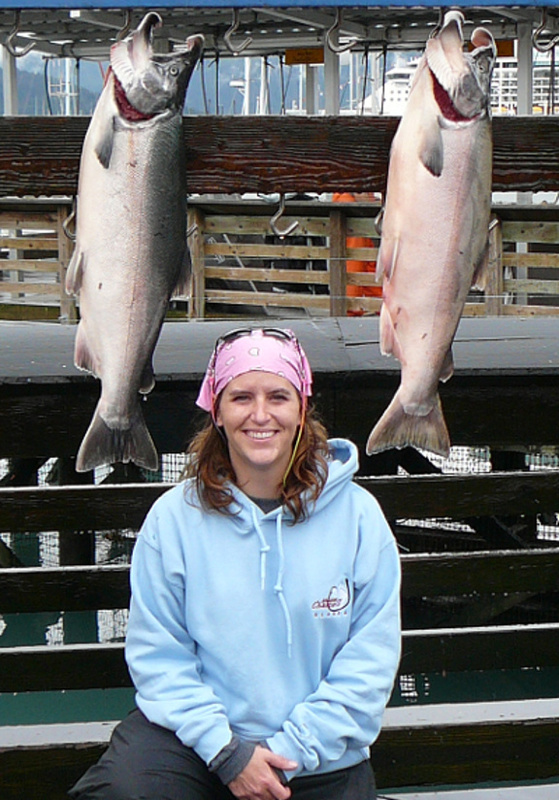 Ninilchik is home to some of the finest halibut and salmon fishing in the world. The Ninilchik River borders us on the north side and Deep Creek borders our little fishing village on the south side. You’ll be delighted at how easy it is to get here. Ninilchik is approximately 180 miles south of Anchorage and can be reached with a 3 1/2 hour beautiful drive through majestic scenery. Anchorage has a large international airport with convenient air service from nearly all major cities. Most of our clients from out of state fly into Anchorage, rent a car or RV and drive to Ninilchik. -We believe that fishing is fun! We wish to provide a fishing adventure that is fantastic! -We believe that fishing is not supposed to be rushed, that is why our boats only run 1 fishing trip per day. -We believe that our charter company offers a once in a lifetime experience. -We believe that you have spent a ton of time and effort searching for the best Alaskan fishing charter. -We believe your search ends here!